The East Coast is well known for its prestigious colleges and universities, so it is no surprise that many students chose to attend school out there. The region has so much to offer—a rich history of the country, four distinct seasons, and major cities to explore. Colleges in North Carolina are among the greatest out there. Home of the famous Wright Brothers and Pepsi, this state has something to offer everyone. 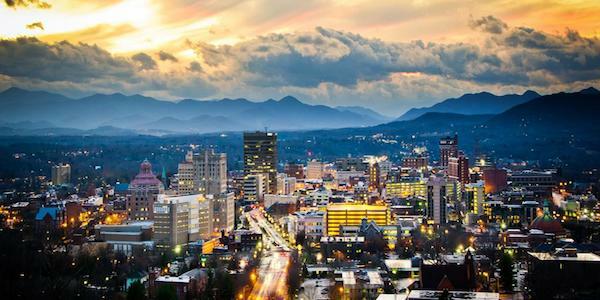 The Tar Heel State is commonly known for its beautiful parks like Blue Ridge Parkway, patriotic state fairs, and low cost of living, something that is always a bonus for students. With over fifty colleges and universities, it can seem daunting to narrow down the options of where to apply. Luckily, we have compiled a list of the twenty-five best colleges in the state, with descriptions and information to help you decide which college or university is best for you. The University of North Carolina at Chapel Hill, or more commonly referred to as simply Chapel Hill, is a large, public university nestled in the small city of Chapel Hill. Since its opening in 1795, this well known University has been one of the few public universities that offer an Ivy League education for a much lower price. They offer over 70 courses spread across 14 colleges, and undergraduates receive credit for a liberal arts education. Over 87% of classes available have a student size of less than 50. Was the first public university in the nation. Known as a top research University, Duke is a large, private school currently located in Durham. Thier medical program is known nationwide, and their marine laboratory is unprecedented. This tight-knit community boasts of small class sizes with a student to faculty ratio of 8:1. Students are heavily involved in international programs, as well as service-learning opportunities that more than 75% of students take part in. The most popular major is public policy. More than one of the libraries on this campus is ranked among the best in the nation. The campus includes a center for black culture and a French science center. 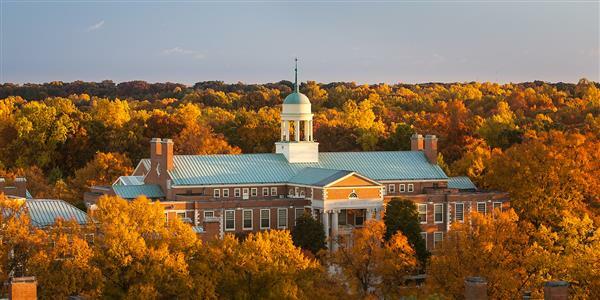 Ranked nationally as the 27th best University, the medium-sized, private Wake Forest University offers a liberal arts education in the small town of Winston-Salem. This diverse school focuses heavily on service with their motto of “Pro Humanitate (For Humanity);” students can participate in the weekly service activity and more. With an appreciation for hard workers, this school offers over 40 undergraduate degrees with on-campus tutoring programs to help. Nearly everyone lives on campus. More than half of the females on campus are a part of a sorority. Business is the most popular major at Wake Forest University. Also in Durham, North Carolina Central University is within the Research Triangle with areas in biotechnology information, biomedics, social, health, and behavior. While this public institution is heavily involved in the sciences, they also pride themselves in offering unique art opportunities like their Jazz study program. The law program on campus is also nationally recognized for being among the top ten most popular law schools. North Carolina Central University is a historically black university. This was the first campus to require community service for graduation. Criminal justice is the most common undergraduate degree. 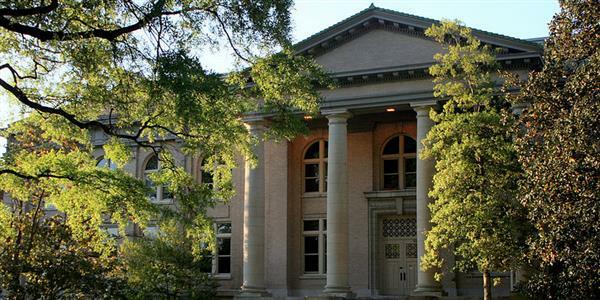 Davidson College is a small, private, liberal arts school situated in the small town of Davidson, North Carolina. Davidson College has small classes averaging only 15 students, and it offers 26 majors, in addition to Interdisciplinary Studies. Almost one-fourth of the school is involved in a sport at some point during their stay at Davidson College, and 80% of students have had a hand in international work before graduation. Has an honor code, meaning tests are self-scheduled and unproctored. Many students express interest in pre-education. This was the first liberal arts college to eliminate loans as a part of financial aid. Located in the capital of Raleigh, North Carolina State University leads efforts in nuclear proliferation, climate change, smart electrical grids, and even self-powered health monitors. Innovation is a main influence on campus as students are constantly trying to better the community with over six hundred student organizations. Educates more North Carolina natives than any other university. Has the third best veterinary program in the country. More than one hundred startups stem from North Carolina State University research. 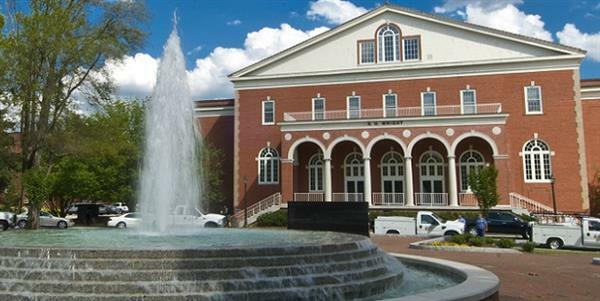 The University of North Carolina School of the Arts is a small public school. It is the most prestigious art school in the state. Located in Winston-Salem, the school aims to help students excel in programs like dance, drama, design, music, filmmaking, and production. Their small classes with a student-to-faculty ratio of eight-to-one encourages students to share their talents in a more personal setting. Has a high school program. The campus is 74 acres. They specialize in five degrees. 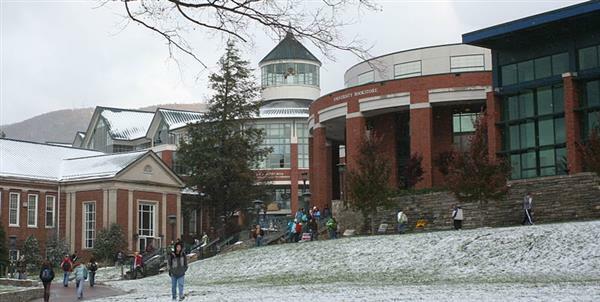 Since being founded in 1899, Appalachian State University has continued to grow as a large public university in Boone, North Carolina. The wonder of this University extends past the beautiful view of the mountains, with over 150 undergraduate and graduate programs offered. Recognized for success in civic engagements and service-learning, the school reaches out constantly to the community. Creates a five-year plan for all students. There are 11 recreational and athletic buildings on campus. 99% of the faculty have doctorates. The University of North Carolina at Wilmington is a medium-sized, public school with a strong sense of community and place. Being on the coast, the view and possibilities are incredible for college life. While almost 90% of the students are from North Carolina, 21 countries are still represented among the student population. University of North Carolina at Wilmington has a special online program for veterans. They have the top transfer student graduation rate. Is one of the highest producers of Peace Corps volunteers. As a medium, private liberal arts university, this selective school focusses on engaged and experiential learning. The institution is among the top with regards to producing not only Fulbright Student Scholars but also Teach for America and Peace Corps volunteers. The average class size consists of 20 students in order to encourage mentoring relationships between students and faculty. Sends the most students in the nation out on study abroads. There is a 56-acre forest on campus. There are over 200 student organizations. This medium-sized institution started in 1890 as a land-grant doctoral research university. Now North Carolina Agricultural and Technical State University is the largest historically black university across the country. While they are most commonly known for their outstanding program in engineering, they offer over 177 undergraduate degrees. Thier choir performed for President Obama at the White House. Houses the National Science Foundation Engineering Research Center. Their engineering program is in the top third percent in the country. Salem College is a small, private, liberal arts college open to only women. The school began as a primary school, then became a high school, and eventually settled as the college it is today. With an ethnically diverse population, this school encourages women to pursue careers in the sciences and involves the students in division sports. Salem is one of the few original all women’s colleges that still upholds their tradition of women. Thirteenth oldest college in America. Their law school has a 100% acceptance rate. First college in North Carolina to have a Master’s program. The large public University of North Carolina at Charlotte is an urban research institution that has a strong interest in economic development. The University is comprised of three separate campuses that all are known for their community outreach program. Academically, they offer 90 bachelor programs spread across nine different colleges. Considered a Community Engaged University. Their campus is composed of 1,000 acres. 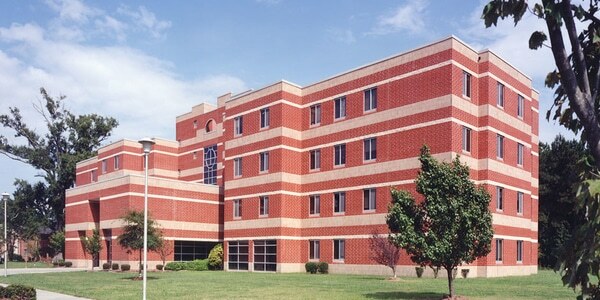 Elizabeth City State University is a mid-sized public liberal arts school. Originally, it started as an elementary teaching college but grew to include 28 undergraduate degrees. The school is associated with the Thurgood Marshall College Fund and is known for producing the most African Americans with Master’s degrees in mathematics. Ranked third in greenest HBCU. Most affordable success university in North Carolina. Known as a military friendly school. Western Carolina University is a medium, public university which started as a teaching college in Cullowhee, North Carolina. With more than 75% of the population being between eighteen and twenty-four, this school proves to have a lively community. 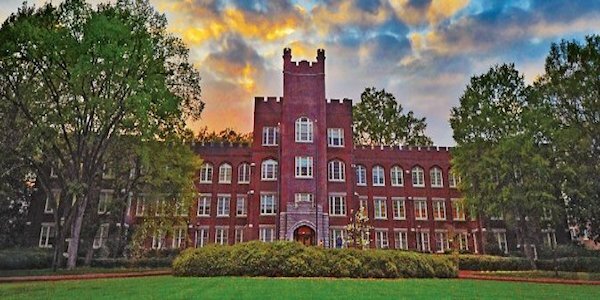 Western Carolina University focuses on high demand degrees in the sciences and business and offers more than 115 undergraduate majors. Around 80% of the school receives financial aid. Is ranked number one outdoor adventure college in the Southeast and Mid-Atlantic. Is in the top five for undergraduate research. Fayetteville State University is the second oldest university in the state and is now recognized as a mid-sized, public school. This school is known for being one of the most diverse campuses in the nation and produces many minority degrees. Their Freshman Year Initiative is an award-winning program created to make freshman year easier for students. 75% of the buildings are new or being renovated. The faculty is ranked above the national average. They have a global scholar program. The University of North Carolina at Asheville is a medium-sized, private university that is a dedicated liberal arts school in Asheville. It was founded in 1927 as a junior college. Now it is not only a school known for having a great community, but it was ranked third on the national list of “Best Schools for Making an Impact.” With 36 majors in either the arts or fine arts and sciences, the school encourages undergraduates to participate in research, internships, study abroads, and service projects. Headquarters for the Council of Public Liberal Arts Colleges. Named a “Best Buy” college. Ranked one of America’s best college towns. Located in Greensville, East Carolina University is a large, public university that specializes in research. It began as a teacher training school in 1907, but soon grew into a full fledged university with 97 undergraduate degrees, and 15 research doctoral degrees. On top of having 11 colleges, the school also includes a graduate school and honors college. Minorities make up 26% of the student body. The school is a top producer of registered nurses in North Carolina. It was ranked first in “Best Bang for the Buck” universities. Catawba College is a small, private, liberal arts college located in residential Salisbury, North Carolina. The school was founded by the German Reformed Church but is now affiliated with the United Church of Christ, which encourages the students to have good character in all of their actions. The school offers over 70 different fields of study and allows students to create their own individualized major. Is affiliated with the United Church of Christ. Has many traditions including Family Week. Is the sixth oldest college in North Carolina. The University of Mount Olive is one of the leading Christian liberal arts universities in North Carolina. Most of the student body is comprised of adult students due to the school’s belief in transformational education. With small classes, an average 15 students, it is easier for students to receive the attention and help that they need. The school also focuses on improving each student’s writing abilities with their Quality Enhancement Plan. Established by the Original Free Will Baptist Church. Listed with the best online criminal justice degree. Known for being transfer friendly. The small, private, liberal arts college, Guildford College, is a historical school that sticks by their Quaker heritage. They believe in a strong sense of community, equality, integrity, peace, and simplicity. With this focus, the school offers many nontraditional majors such as Peace and Conflict Studies and Community and Justice Studies. Grows their own produce for the dining halls. Hard focus on ethics in everyday life. Barton College is a small, liberal arts college in Wilson that strives to keep the college experience personal. Even with small class sizes, they are still able to offer over 40 programs for their students within eight schools. They put emphasis on an education that includes not just intellectual growth but also social, emotional, physical, and spiritual. Affiliated with the Division of Higher Education of the Christian Church. Has a Quality Enhancement Plan. Ranked most innovative regional college in the south. 37 countries are represented on campus. Fifth best campus in the nation. Has their own program that prepares students for life after college. Originally a women’s only college. Winston-Salem State University is a mid-sized, public university that specializes in health sciences. Being a historically black institution, the school continues to uphold a diverse student body. They provide a flexible curriculum with over 40 majors available to accommodate each student and their unique background. Ranked fifth HBCU in the nation. Is the only four-year university to offer a degree in motorsports management. Offers seven different themed housing options.